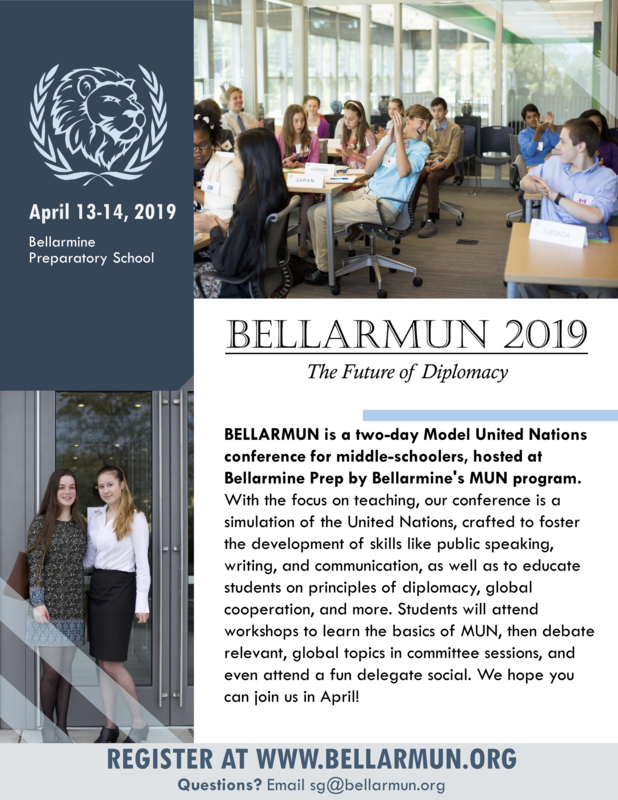 BELLARMUN is a two-day Model United Nations conference for middle-schoolers, hosted at Bellarmine Preparatory School by Bellarmine’s Model United Nations program. This year the conference is taking place on Saturday, April 13th and Sunday, April 14th. Model United Nations is a great opportunity for students to learn principles of diplomacy, global cooperation, and communication as well as gain public speaking, writing, and researching skills. 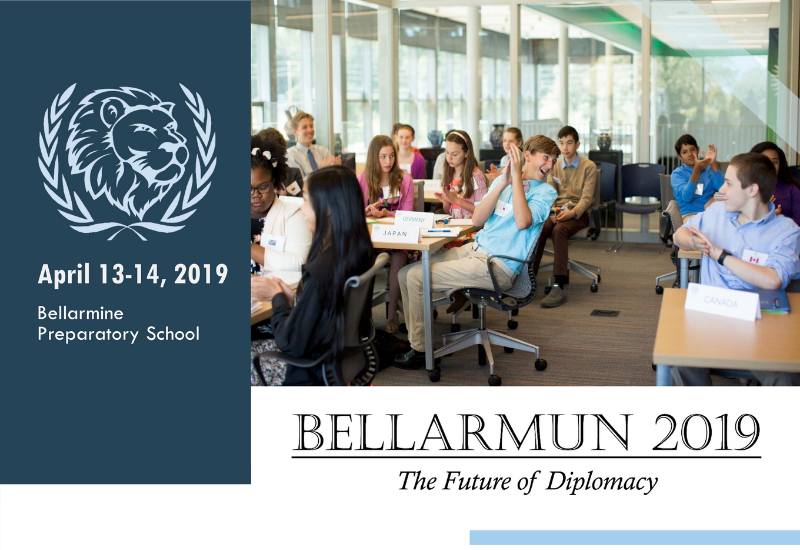 At BELLARMUN, students begin by attending workshops taught by experienced Bellarmine delegates where they learn the basics of Model United Nations and research the country they will be representing. Following the workshops, delegates are ready to jump into committee sessions where they will discuss global topics and issues that are relevant to the world today. Students will also have the chance to take a break from the formality of Model United Nations to attend a fun delegate social! 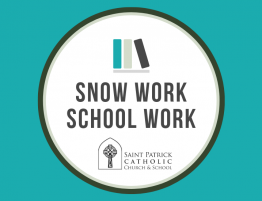 Saint Patrick Catholic School middle school students have participate in Bellarmun since its inception in 2017. 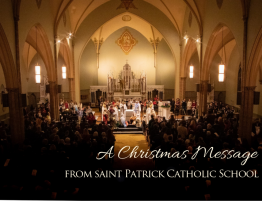 Read the reflections of some of the 2017 participants from Saint Patrick Catholic School. 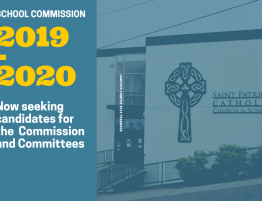 The School Commission for Saint Patrick Catholic School is seeking members for a three-year term beginning in the 2019-2020 school year. 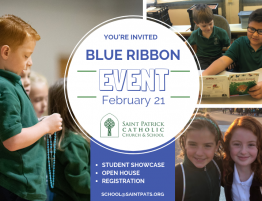 Thank you for joining us for our annual Blue Ribbon event! Here are a few photo highlights from the evening— including the unveiling of the ancient cave that emerged in the stairwell revealing ancient drawings! Missed it? No problem— come and see by scheduling a tour! Is your student working on the homework packet? 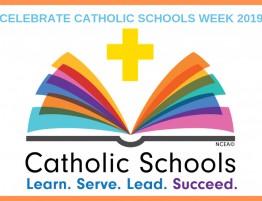 We celebrated Catholic Schools Week 2019 in honor of Saint Patrick Catholic School’s 125th anniversary of lighting the way for Catholic Education in Tacoma. 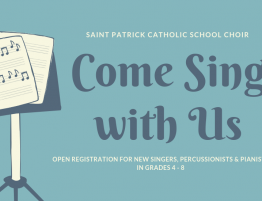 It is open registration for the Saint Patrick Catholic School Choir. 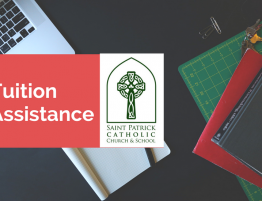 Tuition Assistance for the 2019-2020 is closed. Applications submitted after January 31st will be considered until funds are no longer available. 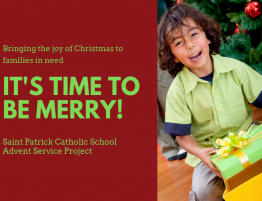 Generous parents and students shopped, wrapped, and delivered presents to families in need just in time for Christmas— sharing the joy of the season with their adopted families. Wishing you a Merry Christmas and let’s pray for peace in our New Year.